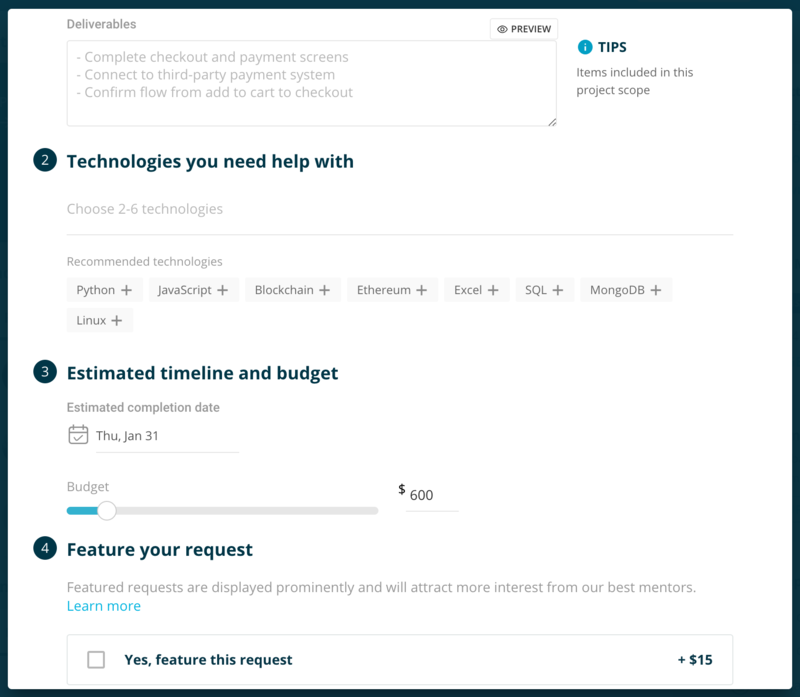 Codementor Support - How do freelance job requests work? All Categories ​>​ I&apos;m a User ​>​ Getting Help ​>​ Session or Freelance Job Requests ​>​ How do freelance job requests work? 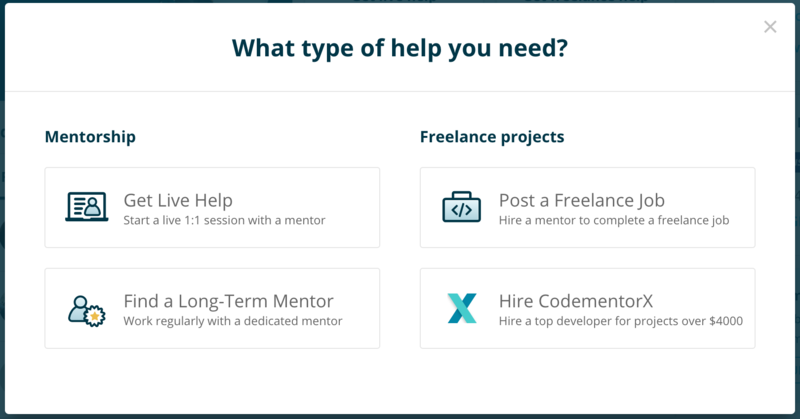 Freelance job requests are requests to get help from mentors outside of live mentoring sessions. 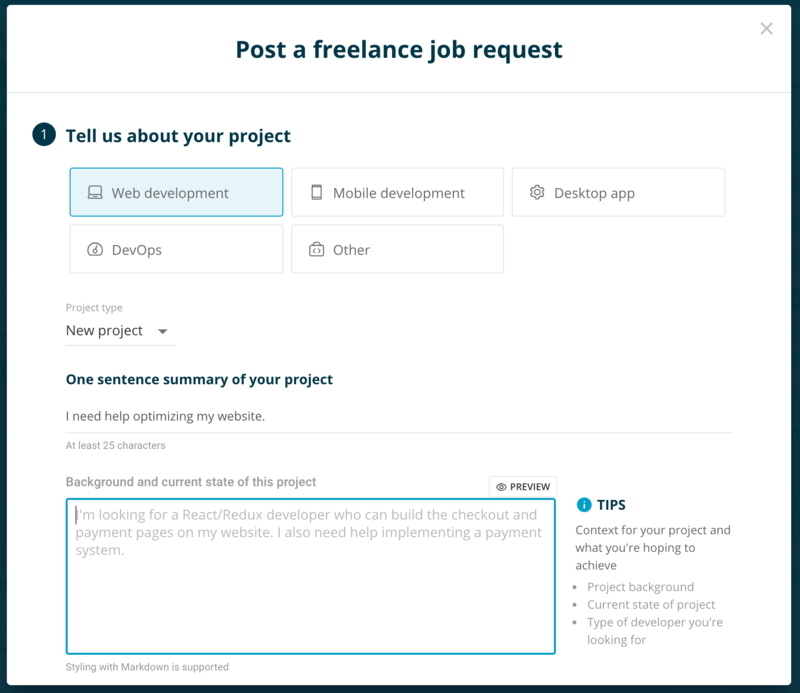 You can post a freelance job request by clicking on the Get Help Now button on the top right of the Dashboard. Select Post a Freelance Job to start filling out your freelance job request. You'll be asked to share details about your project on the freelance job request. A detailed request will help mentors understand your requirements better and speed up the process of finding a mentor. After filling out the information above, click Submit Request to start allowing mentors to learn more about your request.